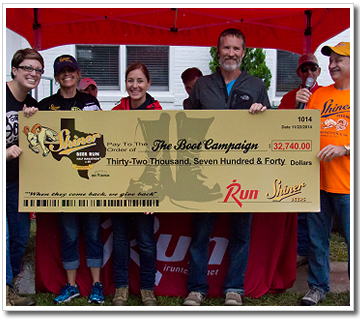 Thanks to the great participants in 2014, iRun Texas and Shiner Beers presented a check for $32,740 to the Boot Campaign at the third annual Shiner Beer Run Half Marathon & 5K. Partner Pass sales and the raffle brought the contribution to the Boot Campaign from the Shiner Beer Run to over $40,000. 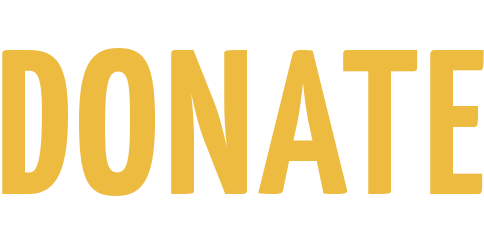 The Boot Campaign is a national 501c3 patriotic movement that is dedicated to showing tangible appreciation of our active military, raising awareness of the challenges they face upon return and supporting their transition home (see a Boot Campaign video). Through the sale of its signature military combat boots, general public donations, and corporate sponsorship, the Boot Campaign operates five distinct initiatives -- Housing, Jobs, Family Support, Urgent Assistance and Wellness-- that are caring for military personnel, past and present, healing from a variety of physical and emotional combat wounds, embodying the campaign motto that, "When They Come Back, We Give Back". Representatives from the Boot Campaign will be on-site race day sharing information about the Boot Campaign and offering the opportunity to buy your own boots. Each pair of boots purchased includes a Partner Pass wristband that includes availability to all the food, drink and festivities at the Spoetzl Brewery on race day. Learn more.